This episode is a live recording of the ninth session of #UnblindingResearch held in DREEAM 21st November 2018. The group work has been removed for the sake of brevity. This session of #UnblindingResearch looks at randomisation and the different techniques for overcoming selection bias. Here are the slides for this session (p cubed of course), you can move between slides by clicking on the side of the picture or using the arrow keys. Which trials use randomisation and why? Randomised controlled trials (RCT) are used to test a new treatment against the current standard or between two or more existing treatments to see which works best. They consist of at least two groups; one who receives the new treatment and a control group who receive the current treatment or placebo. Randomisation is used to overcome selection bias. Essentially it means that a participant’s allocation is not prejudiced. Biased allocation can effect the outcomes of a trial. Say you only recruited fit younger participants to receive your new treatment and older, unwell patients received placebo then it’s more likely your trial will find your drug works. A compromised randomisation study is actually worse than an explicitly unrandomised study as at least the latter has to be open about its lack of randomisation and what potential biases it might have. Randomisation must make sure that each group of participants in the trial are as similar as possible apart from their treatment allocation. This means that whatever differences in outcomes are seen are due to the treatment received. Simple randomisation is allocation based on a single sequence of random assignments such as tossing a coin. Other random events such as picking a card or rolling a dice can be used. Random number generators are another type of simple randomisation. Simple randomisation works well in large groups of subjects and is easy to use. However, in smaller groups it is more likely to produce unequal group sizes and so could be problematic. Stratified randomisation is used if you’ve identified baseline characteristics (co-variates) which might affect your trial outcome. For example you may be studying a new intervention to shorten post-operative rehabilitation. The age of your participants is going to influence rehabilitation anyway. You might therefore perform stratified randomisation; first sorting the patients into age blocks before then performing simple randomisation into either intervention or placebo. This is more difficult for larger sample sizes and ideally should be performed right at the beginning of the trial with all participants signed up and their characteristics known. However, in practice subjects are usually recruited and randomised one at a time and so performing stratified randomisation would be very difficult. 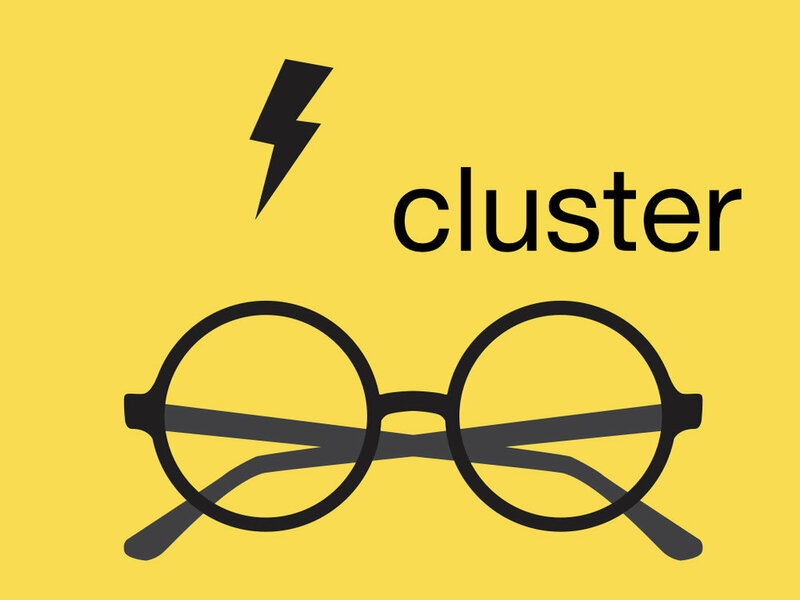 Clustered randomisation involves randomising groups (clusters) of participants to receive either control or intervention. This technique isn’t used in drug interventions but instead is used for interventions involving a large group such as an education programme which is delivered to the intervention group but not the control group. You can imagine it wouldn’t be feasible to deliver an educational programme to a hundred people individually but would be to one group at a time. Each cluster should be representative of the overall population. As a cluster gets bigger the power and precision of the study goes down. The intracluster correlation coefficient (ICC) measures the degree to which observations from the participants in a cluster are correlated. It is measured from 0-1. The higher the ICC the more close the values from a cluster are. The lower the ICC the the more difference there is between values from the same cluster. Classic randomisation is 1:1 (ie one participant to one group, one to another) but sometimes randomisation is unequal and can be 1:2 or 1:3. There are a number of reasons for this. One is cost; if one arm of the trial is cheaper then the other it can make sense to recruit more to the cheaper arm, this is rare though. Much more likely is if you are trying to assess the safety or efficacy of different dosing regimes. Some trials may involve a new technique with a learning curve for the practitioner (say new equipment for a doctor to use). If you recruit more to the intervention arm you’d overcome this learning curve effect on your trial. In some trials you may anticipate high drop out and so aim to mediate this with unequal randomisation. This doesn’t affect intention to treat (ITT) analysis. You may be worried about recruitment and believe that if a participant has a 3x increased chance of being in the intervention arm than placebo you may want a 1:3 randomisation. However, if you’re really worried about how much benefit the new treatment is against your control you should really look at changing your trial. This is the principle of equipoise. 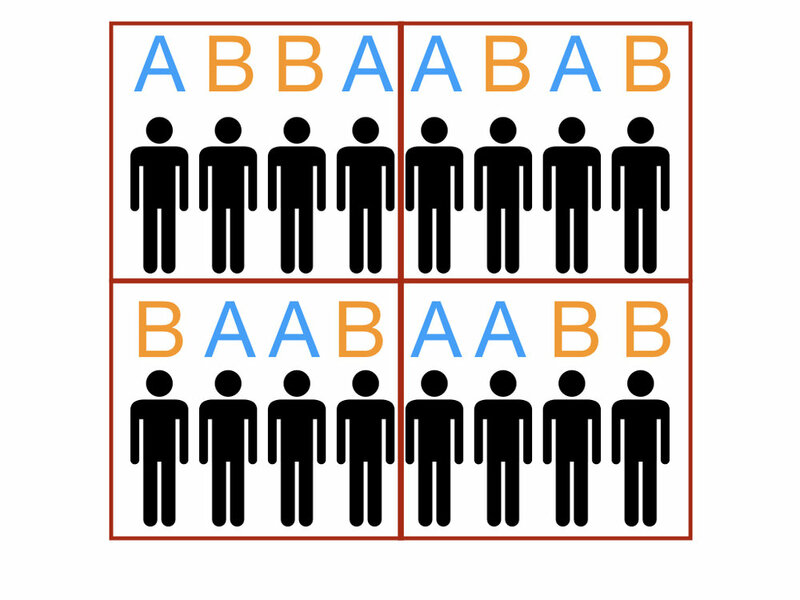 Unequal randomisation affects sample size. For the same power as a 1:1 trail a 1:2 trials needs 12% more participants and a 1:3 needs 33% more. Notice after every block of four two participants have gone to A and two to B. This ensures equal recruitment. With sealed envelope randomisation each research team is given a selection of envelopes which contain the allocation. After recruitment the envelope is opened and that allocation offered to the patient. This is open to compromise however, the envelope could be tampered with and even made transparent if held up against the light! Another option is distance randomisation, either over the telephone or a website. This uses a third party service, of which there are many, who logs the patient details and then allocates the participant. The research team may use next box on the shelf recruitment. You’re provided with a selection of boxes and you literally pick the next box on the shelf each time you recruit. Each box will have a separate code which you’ll log but otherwise you won’t know if you were giving a placebo or the intervention.